Lead Me Home #bookgiveaway and $0.99 e-book special! It’s the pinnacle of summer, brimming with homemade ice cream, backyard barbecues, kids catching fireflies in the small town park as they wait for fireworks, and evenings on the front porch swing. It’s 4th of July weekend, and the only thing else you need is a good book. 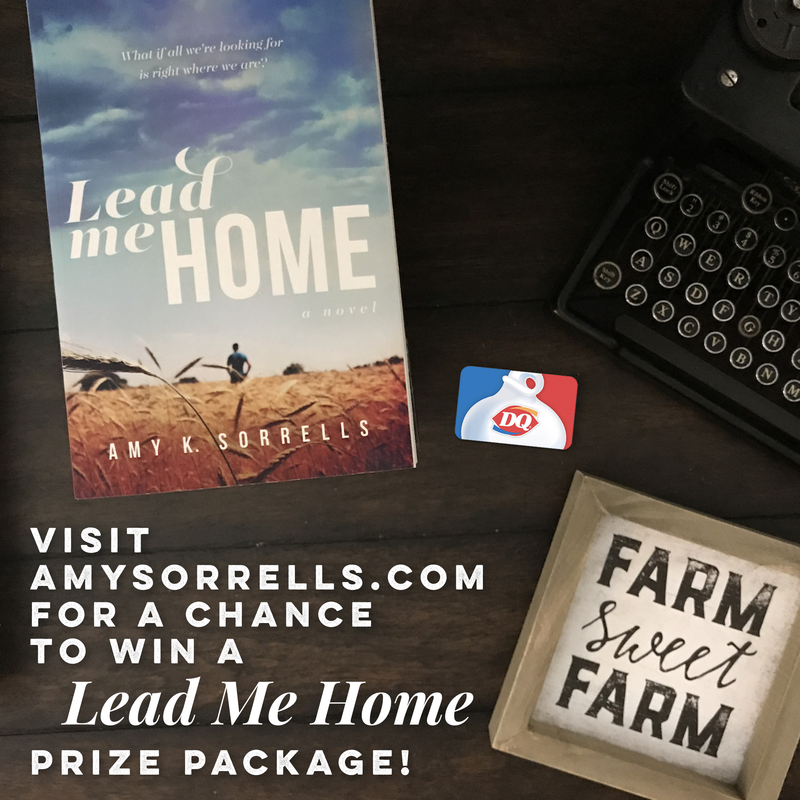 Well, I’m happy to oblige you with a month-long e-book sale and prize package giveaway of my novel, Lead Me Home, the perfect book for summer, set in the sweltering heat of the fictional, heartland town of Sycamore, Indiana. There’s tragedy and romance, a little suspense and heartache, a few cute cows and a lot of hope. 1) POST THE LINK to this blog post AND ONE OF THE PICTURES BELOW on Instagram or Twitter ALONG WITH THE HASHTAG #LeadMeHomeNovelSpecial. 2) Tag THREE friends in each post. You can enter more than once on either Twitter or Instagram, as long as you tag three different book-loving friends each time. I will collect all the names of the entrants and announce the winner on the morning of July 4th. Now that’s something to set off a few fireworks about, don’t you think?